Summer is coming and with it comes our city's unquenchable thirst for cold drinks. It used to be that when an icy Daiquiri couldn't hit the spot a frozen Margarita was your only option to beat the heat. 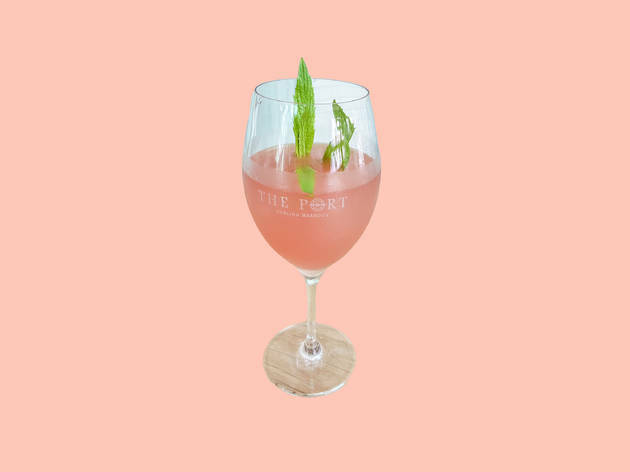 But thanks to a particularly muggy summer in New York this year, we now have the Frosé to answer all our summertime prayers. 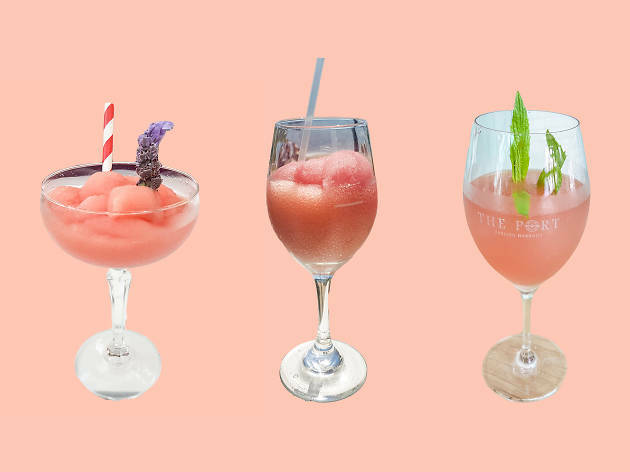 Frosé is basically a sorbet made from rosé wine blended up with fruit, syrup and juice in a Slushie machine, and the result is straight-up party fuel. RECOMMENDED: The 50 best bars in Sydney. Sometimes the world just smiles on you, like when the drink you want is just $10 and also allows you to skip the cocktail queue on a sunny day. That's the beauty of ordering a Frosé at the Watsons Bay Boutique Hotel. 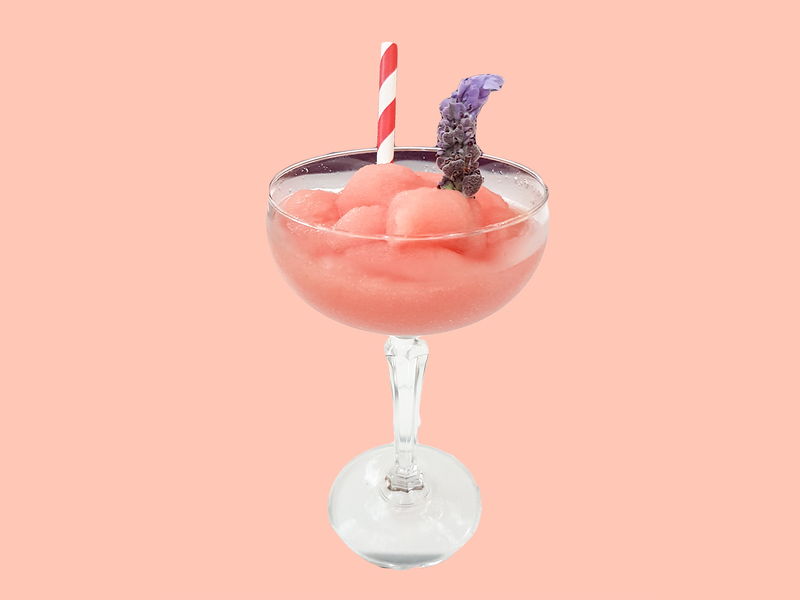 The mix of Crazy Tropez rosé, water and strawberry granita mix is frozen together in a slushie machine which makes service and refreshment extra fast. You'll need to get in super early for a seat in the beer garden, but once you're settled prepare for a pink-tinted afternoon as you cool off with a frozen cocktail that tastes a bit like a sherbet with a sweet berry flavour to balance the dry wine. 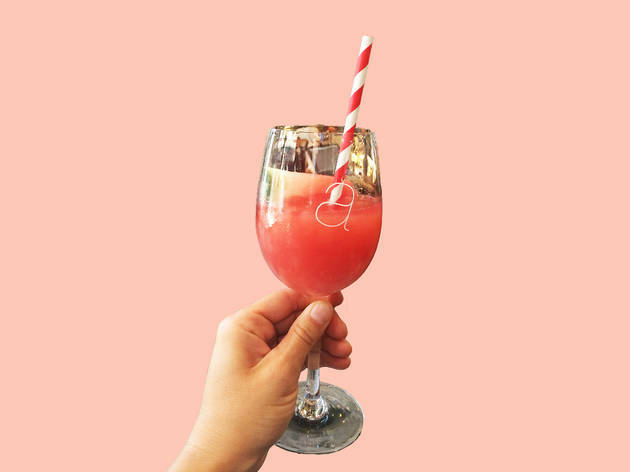 This Double Bay stalwart was one of the first to embrace the Frosé trend, announcing back in September that they were opening a Frosé terrace for summer. Terrace is probably a strong word for the navy and pink couches out on the leafy footpath of Bay Street, but it is nevertheless a comfy spot for a coup of rosé, strawbery syrup, lemon and watermelon juice that starts fresh and gets sweeter as your little hillock of icy booze begins to soften and melt. Our one bit of advice is to lose the striped paper straw – it won't last the distance. Jimmy's Margaritaville has moved on to more tropical climes and in its place we have the Port, a spacious seaside oasis that's all about cold drinks and fresh seafood in chic surrounds. The playlist will jump from Bossa Nova to the Beastie Boys while you kick back on outdoor lounges overlooking Darling Harbour. 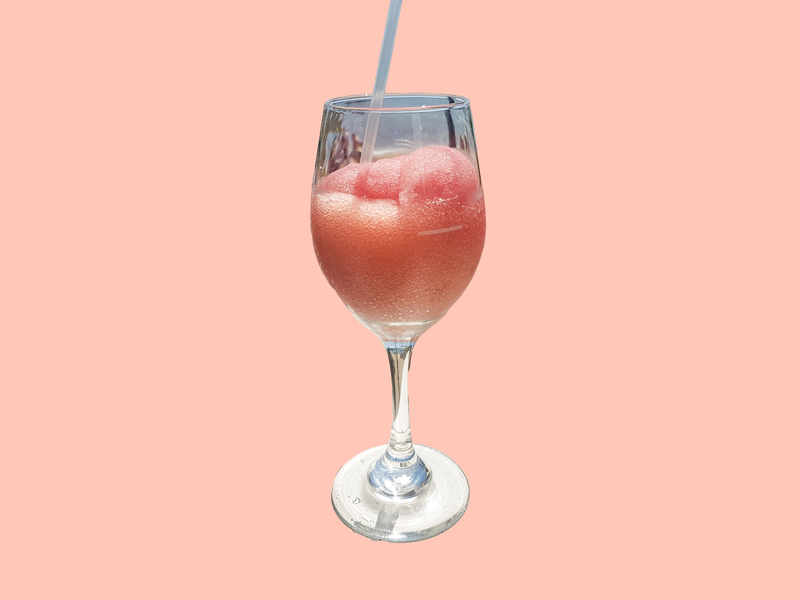 To really cool your jets order a Frosé, a mix of wine, sugar syrup and vodka that they keep turning in a slushie machine. This is the least sweet version of the famous New York slushie we've tried so far – it tastes much more like wine than fruit cordial. If you really want to get into the weekend spirit head here on a Friday afternoon when they are $10 a pop. Kensington Street in Chippendale is quickly becoming a one-stop-shop for all your summer needs. 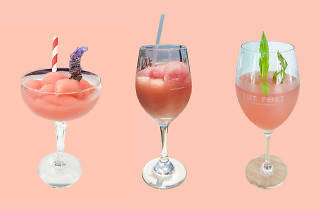 There's designer cakes at Koi, an outdoor food market at Spice Alley, and now Kensington Street Social is implementing Social Sundays where they will be offering brunch accompanied by bottomless rosé or Frosé for $16 a pop, which they sweeten with sugar syrup, brighten with lemon juice and then add a gentle salty kick with fresh watermelon juice. Just check how the machine is going on your visit – on hot days it can be a bit melty. 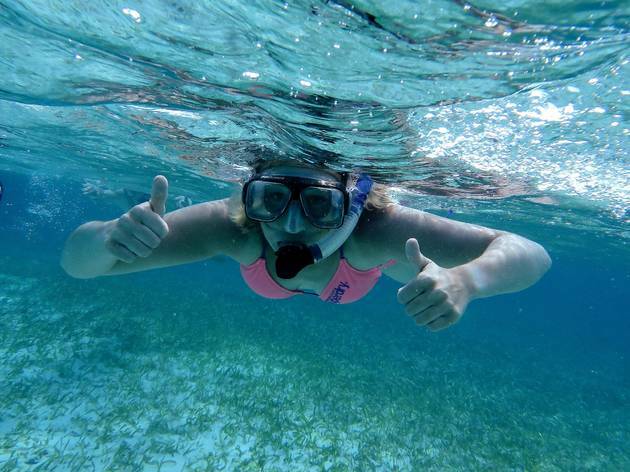 Where are these great snorkelling spots? To find out, we enlisted the help of the good people at Snorkel Safari, who run scuba-diving courses and snorkel trips from several locations across the city. They gave us their picks of the five best places to bury your face in the water in Sydney, from a strange little island in La Perouse to Shelly Beach at Manly.